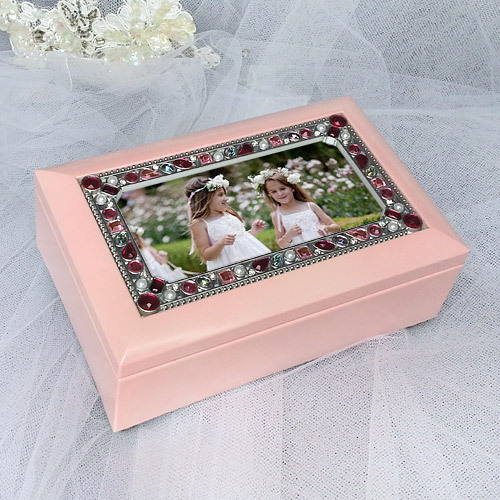 Wood box, jeweled border, sankyo music player, holds 2.6" x 5" photo. Insert: Replace insert with your personal photo. 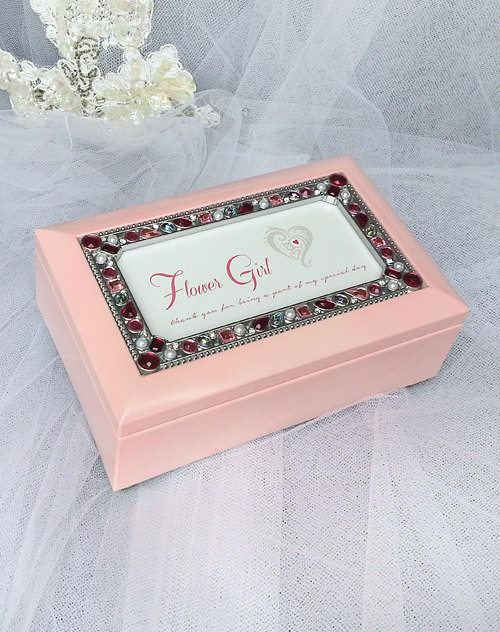 This ornate jeweled-border music box makes a beautiful gift for Bridesmaids, Jr. Bridesmaid, Flower Girl, Mother of the Bride, etc. Replace photo insert with your own personal photo. Uses quality sankyo music mechanism. Prelabeled inserts have a general title and smaller print, "thank you for being a part of my special day". Gina Freehill Music Box video.